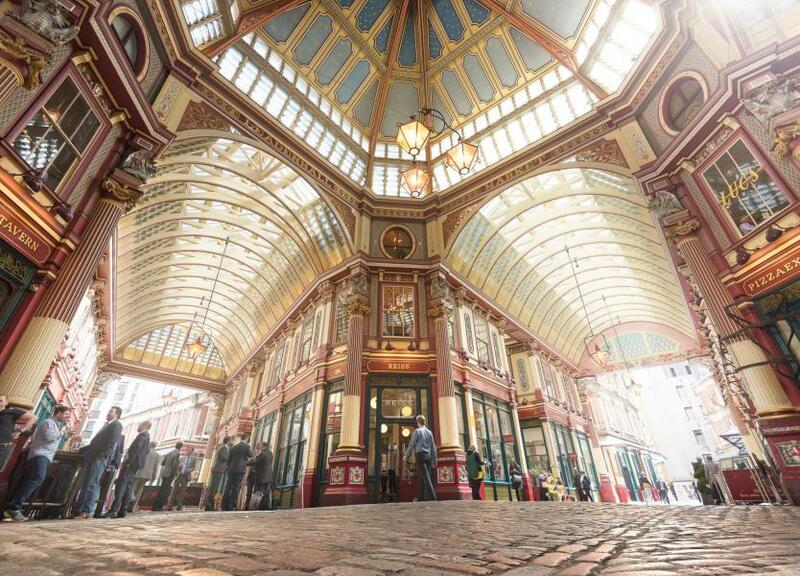 The Leadenhall Market is a roofed market in the city of London (United Kingdom), which is well known for it's beautiful architecture and from movies like Harry Potter, where this location is used as Diagon Alley in the first one of the film series. 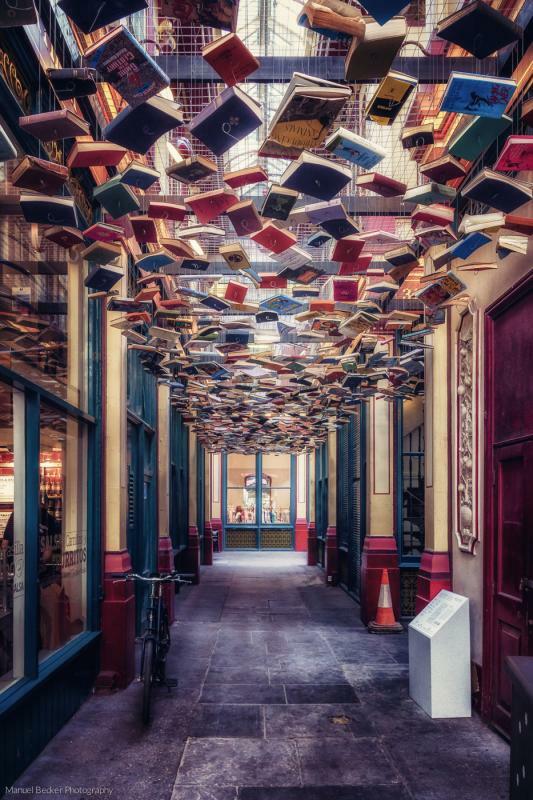 Overall this place is great for all kind of photographers and the small alleys offer a lot of lovely details, like for example the "flying books", where books hang down from the roof which looks like they were flying. 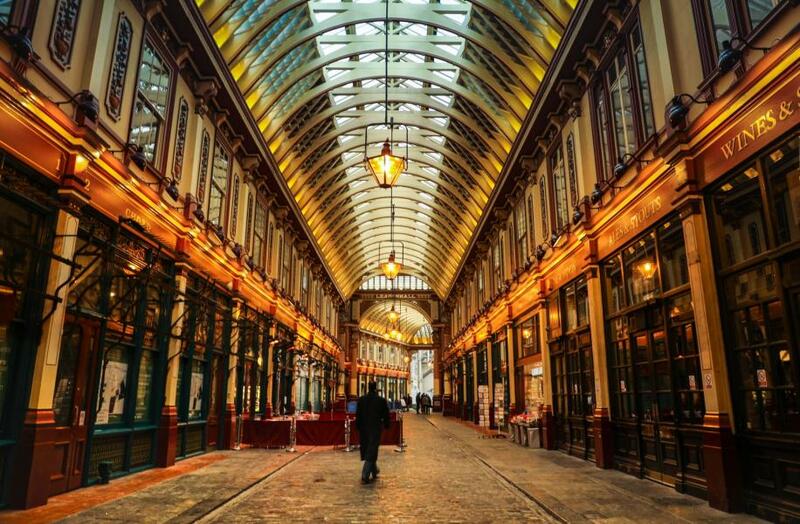 If you want empty streets within Leadenhall Market you should get there early during the weekend, because usually there are quite a lot of people around, although it seems not to be one of the biggest tourist attractions of London. The best way to get there is probably by subway to the Metro stations Bank or Monument. It's not that far away from these stations and the quarter itself is worth a walk. 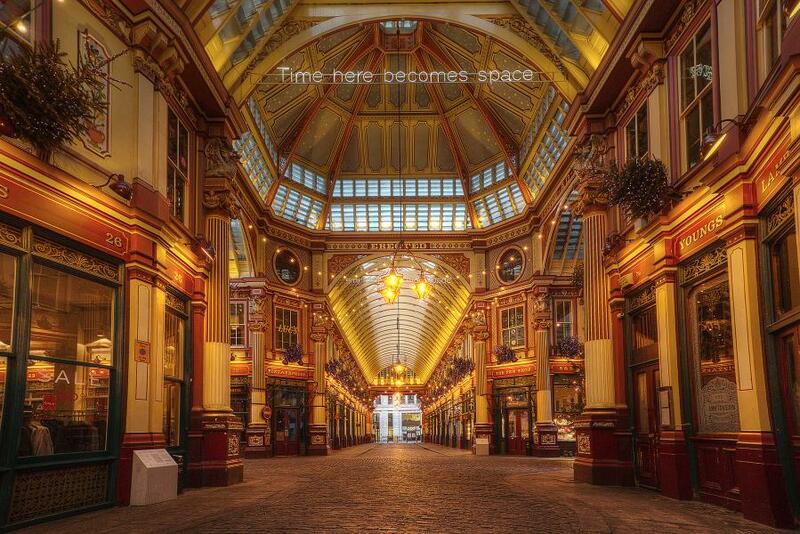 The shops in Leadenhall usually open at 7am during the week.